What is the best marijuana strain for sleep? Well, if you’re like me, there’s nothing like getting ready for bed and taking that last dab or bong hit or joint to the dome before being whisked off to dreamland. The sensimilla sandman can be a help, or a hinder, depending on the brain chemistry and the individuals endocannabinoid system. So what is the best marijuana strain for sleep? The short answer: It depends on the person taking it. If you don’t know your own endocannabinoid system and how you react to certain cannabinoid and terpene profiles, you could find yourself up late with a bad case of marijuana insomnia. Weed that makes you sleepy? Cannabis and sleep science. Sure we all have seen the classic stereotype of the stoner sitting on the couch, taking bong rips then promptly passing out. I feel like this isn’t exactly how it works, although there is definitely something to be said about heavy hitting cannabis that makes you want to go night night. I believe this has more to do with a particular strains terpene profile than anything else. When you take a strain that has a lot of terpenes in it that have sleep related properties, like lavender or myrcene for example, that strain will tend to make one a bit more drowsy than a strain that is lower in the sleepy terpenes, or has a higher concentration of the less drowsy terpenes. But again, this is all quite dependant on the person taking the cannabis to begin with. Are pure Indica strains the best weed for sleep? In my humble opinion, and definitely keep in mind that I am in no way a grower, but the general consensus among the growers and scientists I know and interact with is this. Indica vs Sativa only matters in the way the terpenes present, and in how the plant grows. Which means when people go to a shop and say they don’t like indica because it was sleepy weed, or they don’t like sativa because it gave them anxiety, what they really mean is the batches of whatever cannabis they had, contained a terpene profile that produced, or potentiated those effects in their particular brain for the way their particular transmitters work. Of course this will also be dependant on the cannabinoid profile of the strain. Does Sativa make you sleepy? I don’t think you can simply pick up some cannabis if you have an effect in mind, for example, trying to find the best marijuana for sleep, solely on the indica or sativa label. You need to dig deeper, do some testing of your own, and figure out which strains contain the terpene profiles that give your endocannabinoid system the effects you’re looking for. Once you know that, then you can start the search to find those strains in your local market. There’s a lot of misconceptions about cannabis and the different cannabinoids and their effects. CBD was long thought to have sedative effects, but more recently, and thanks to states with more progressive laws regarding cannabis and cannabis research, we’re learning that CBD can have the opposite effect. Project CBD has a great page full of awesome information and links to studies about sleep disorders and cannabis. One of the interesting things I learned is that CBD actually activates the same adenosine receptors as caffeine. CBD insomnia anyone? This could, in the majority of people, cause some mild alertness, rather than the calming sedative effects one might hope for. But again, this is all going to depend on the individual and how their system reacts to the substance. I’m sure there are some people out there who fall right asleep after a cup of java. It looks like with current research, that THC has the best chance of putting you to sleep. Also remember that taking too much THC, while it won’t kill you, will have you waking up groggy with a bit of a haze. The weed hangover we call it. Also the method of ingestion will have a bit to do with the effects, as when cannabinoids are ingested, different processes happen to them, and they can change into other compounds. The best example is when you eat a pot brownie. 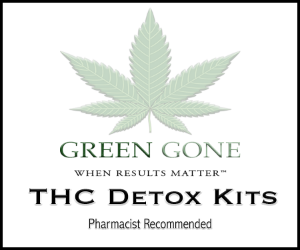 The THC you ingest gets metabolized by the liver and intestinal enzymes into 11-Hydroxy-THC. This is why you feel different effects when you eat cannabis rather than smoke it. As we’ve just learned, yes and no, but that depends again, upon the person, the cannabinoid profile, and the terpene profile of the strain in question. All of which can vary lot to lot, and grower to grower. Marijuana and insomnia is no joke. Sleep and weed is stuff stoners Like. Have you ever experimented with cannabis and sleep? Do you have a favorite weed that makes you sleepy or can you recommend the best marijuana strain for sleep? Leave your thoughts in the comments section below.